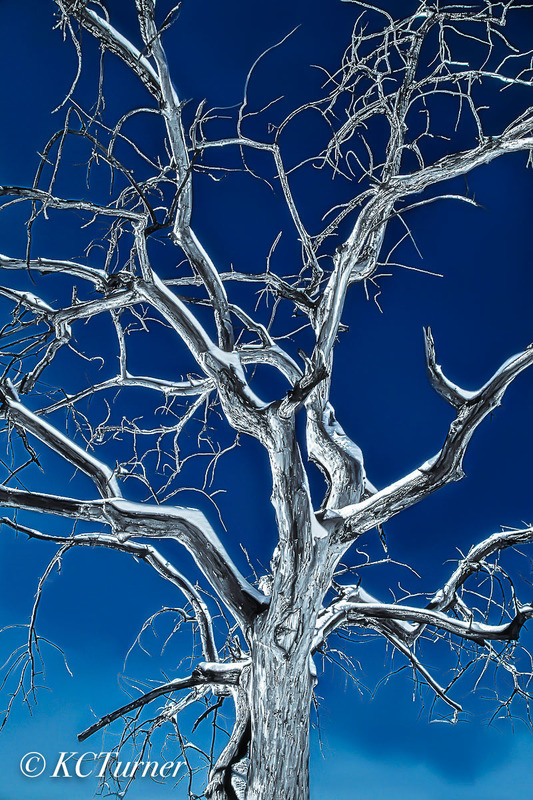 Yes, this is a real tree captured outdoors in the dead cold of a winter morning. There was not a cloud in the sky. It was what skiers and snowboarders call, "A Bluebird Day". I photographed this expressionistic landscape photograph of "Los Lonely Tree" while in waist deep snow and rendered it on metallic paper (subsequently mounted on plexi-glass). Photo © copyright by K.C. Turner.